Earlier on Wednesday, Vijay Mallya had offered to pay back the full amount of the principal loan he owed various banks. Fugitive liquor baron Vijay Mallya said on Thursday there was no link between him offering to pay all dues to banks and the extradition of Christian Michel, the alleged middleman in the AgustaWestland chopper deal. In a tweet, Mallya said he wanted to end the narrative that he stole money, urging the banks to take money from him. “Respectfully to all commentators, I cannot understand how my extradition decision or the recent extradition from Dubai and my settlement offer are linked in any way. Wherever I am physically,my appeal is “Please take the money”. I want to stop the narrative that I stole money,” Vijay Mallya tweeted. Earlier on Wednesday, Mallya, who is wanted in India on fraud and money laundering charges, had offered to pay back the full amount of the principal loan he owed various banks. The 62-year-old former Kingfisher Airlines boss, who has been on bail on an extradition warrant since his arrest in April last year, is fighting extradition to India on charges of fraud and money laundering amounting to around Rs 9,000 crore. He further said his business group which ran India’s largest alcoholic beverage group for three decades had “contributed thousands of crores to the state exchequers” adding that the “Kingfisher Airlines also contributed handsomely to the states”. He also expressed his sadness over the loss of the “finest Airline” and said he still offered to pay the banks. While demanding a fair treatment by the law, Mallya further claimed that he was being falsely accused of being a defaulter who had run away with the bank money. “Politicians and Media are constantly talking loudly about my being a defaulter who has run away with PSU Bank money. All this is false. Why don’t I get fair treatment and the same loud noise about my comprehensive settlement offer before the Karnataka High Court. Sad,” Mallya tweeted. 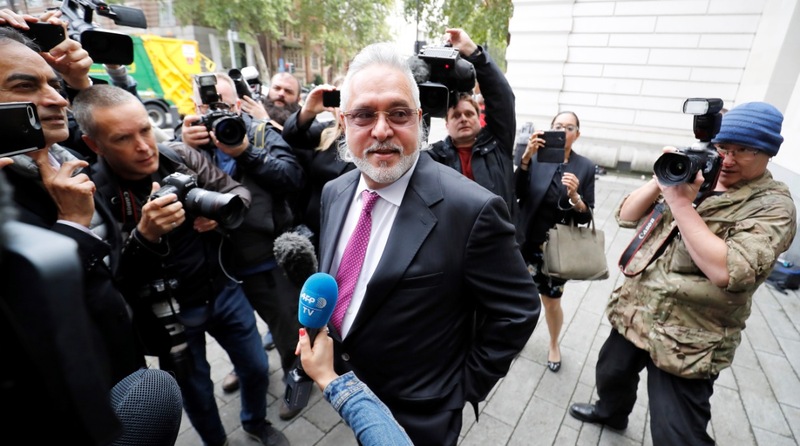 Earlier in June, the UK High Court had ordered embattled liquor tycoon Vijay Mallya to pay a minimum of 200,000 pounds towards the costs incurred by 13 Indian banks in their legal battle to recover alleged dues. The court had refused to overturn a worldwide order freezing Mallya’s assets and upheld an Indian court’s ruling that a consortium of 13 Indian banks led by State Bank of India (SBI) were entitled to recover funds amounting to nearly 1.145 billion pounds. The former Kingfisher Airlines boss remains on bail since his arrest on an extradition warrant in April last year.